You might be in a place where you’re trying different affiliate marketing tactics. Truth be told, there are a number of approaches to affiliate marketing strategies and tactics, and most of them can be found with a simple Google search. Most affiliates are willing to share what they do and what works for them. So, if you look for successful affiliate strategies in Facebook groups, YouTube videos or podcast interviews, you’ll be able to find chunks of gold. “Success leaves clues,” and super affiliates often share their path to success either for free or in premium courses that they create and sell. In this article, we’ve picked out the most important tactics you can implement to make affiliate marketing work for you. We have excluded shady affiliate marketing strategies and dubious tactics because we believe that quality and real value in business always pay back. Keep in mind that affiliate marketers have been accused of trying to scam people – so you must follow a route that proves your business is not like that. That’s not meant to say that affiliate marketers are scammers – it’s meant to alert you to the preconceived notion that a lot of people have about this particular type of marketing. Now that we got that out of the way, let’s move into the real affiliate marketing tactics that work today. 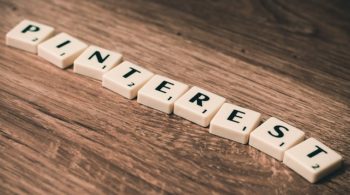 Use these to put together a plan on how to attract an audience and monetize your web properties. It’s important to keep in mind that any business needs an audience and a product. We know that this is basic, but sometimes you are caught up in the “shiny object syndrome” and forget the business fundamentals. These two – an audience and a product (or service) – are the minimum prerequisites to build and grow a viable business. So, no matter what affiliate marketing tactics you choose to follow, always keep building your audience to promote affiliate offers that are a good fit. It wasn’t too long ago that Greg Jeffries, a ClickFunnels super affiliate, won the “dream car” competition with no paid advertising at all. His affiliate marketing strategy was optimizing his niche sites for search engines. Specifically, what he did was go after all of the long-tail keywords he could find. His approach was that you cannot guess ahead of time what keywords your site will rank for. That is why you need to create content for all of the long-tail keywords you can find, even if the monthly search volume is low. Ranking for a lot of those will create a compound effect. To our ears, this sounds like a solid affiliate marketing strategy. Compared to trying to rank for high-competition keywords, or running high-CPC advertisements, Greg Jeffries’ affiliate marketing tactics are low cost and can allow you to achieve long-lasting success. Having the go-to resource in the industry is a smart way to go about affiliate marketing. Either you attract organic traffic or use paid advertising – having an authority portal will help you build and monetize a brand. Look at what Pat Flynn did, as an example. He built an authority site targeting food truck owners at foodtruckr.com. He did research on the needs of this sort of professional and created a website with the tips and paid products a food truck owner would need. Pat Flynn was able to rank the site for a lot of keywords and also attract publicity and social media buzz. After that, monetizing an authority website is not hard, either by selling your own courses or by promoting affiliate offers. Now, the aforementioned affiliate marketing tactics involve building a niche website. But you might not want to do that because it takes a lot of time and resources. However, we recommend that you consider going down that road because it will allow you to build a lasting brand and business in the years to come. Sometimes you want to catch the wave of a trending product, or you just want to promote an evergreen offer, like a loan insurance program. If that’s the case, then a standalone sales funnel is what you need. To build that, you don’t need a website. You need a page builder for the funnel pages, a hosting service to host your funnel and an email marketing platform to communicate with your leads. A sales funnel program, like ClickFunnels or LeadPages allows you to host your funnels in their servers. However, we recommend that you buy your own domain and connect it to whatever sales funnel building service you are going to use. Sales funnels for affiliate offers is part of our business at DoneForYou.com. We have devised successful affiliate marketing strategies for our clients and built dozens of funnels that are evergreen. 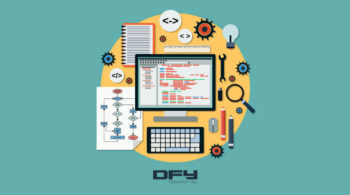 Get in touch with us to discuss how we can build a DFY sales funnel for you, and show you examples of our portfolio. We also have data to back up affiliate marketing strategies that work. We’ll be happy to help you decide on the route you want to follow to build a profitable online business. By the way, we have prepared eight done-for-you email marketing campaigns for affiliates in various niches. Get these affiliate email sequences here. Video marketing is big, and it’s no wonder that many super affiliates use it as their favorite means of attracting the right audience and promoting offers. YouTube is the second largest search engine. As with Google, the allure of such massive traffic is obvious, but that’s also the pitfall for marketers who struggle to rank the videos. The affiliate marketing tactics used by Greg Jeffries (as we described them previously) can be applied to rank YouTube videos, too. Alternatively, you can bet on classic keywords, like “product name + review” or “product name + alternatives,” to attract those consumers that are looking to compare different solutions. No matter what you do on YouTube, you always need to create beautiful videos that provide value and help the consumer get the answer(s) they are looking for. Your intention is to entice video viewers to buy through your affiliate link. So, don’t forget to add that link in the video description, and, why not, mention it in your video. To make it easy for viewers to type your link in the browser address bar, use a link shortening service to create easy-to-remember links. An affiliate marketing strategy that has been the pillar of many six-figure affiliate businesses is Amazon affiliate websites. How it works: You build an eCommerce or a review site that is completely monetized through the Amazon Associates program. Create a WordPress/WooCommerce website, install a plugin that imports Amazon products automatically and attaches your affiliate link to the imported products. So, when a web visitor clicks on a product “buy” button, they are redirected to the same product on Amazon through your affiliate link. Such a WordPress plugin is WooCommerce Amazon Affiliates. Create a product review site, where you’ll be presenting and comparing the top products for a niche. Again, these products will have your affiliate link and send interested buyers over to Amazon. Want more ideas on affiliate marketing tactics? Read our complete guide to starting affiliate marketing the right way. As mentioned above, you always need to keep in mind that building an audience is vital to your success. Whatever way you choose to do it (email list building, social media marketing, video marketing), you need to be attracting and providing value to your select audience of a particular profile. Will it be men that are interested in martial arts? Moms of newborns or lawyers? It doesn’t matter. Whatever audience you want to target, keep growing it, and it will bear fruit soon. Never ever promote bad products or services to your audience. Not only is it unethical, but it will also deplete your audience’s willingness to hear what you have to say. Only promote products that deliver on their promises, are of value and that can transform your fan’s life. Do that and your audience will trust you, love you and buy from you – again and again. Focus on the affiliate marketing tactics that are proven to work. Look at what others do -not necessarily what they teach – but what they do. Sign up for their newsletters and see how they approach affiliate marketing and what they promote. Model their tactics, and – why not – improve them! Also, analyze your data and see what works. Use tools like Google Analytics and Statly to track sources of traffic, user behavior and sales funnel conversion rates. Not all of your campaigns will bear fruits. Pick the ones with the highest ROI and scale. Rome wasn’t built in a day. Are you willing to create long-term success? If so, then stay away from get-rich-quick programs and release yourself from the belief that you will be an overnight success. No one is an overnight success. When you hear millionaires talk about their successful affiliate marketing tactics, they often are open to the fact that it took them years to discover and tweak a winning strategy. Plan your affiliate marketing tactics, keeping focused on what works, and take a step every single day (or week, depending on your availability) towards your goal. Sometimes there are secrets in an industry that you won’t know until you implement your marketing plan. If you’ve never done affiliate marketing before, you might not be aware of some link restrictions that social media and email marketing services impose. For example, if you are promoting a JVZoo product, you won’t be able to post your affiliate link on Facebook, because Facebook has banned all JVZoo domains. Similarly, MailChimp will close your account if you send out campaigns with affiliate links. What you need to do is ask and learn from expert affiliates and read each medium’s (social network or email marketing platform) terms and conditions before you start posting your links. Hopefully, this article provided some direction regarding which affiliate marketing tactics are best suited for your affiliate business. Now, to help you get started implementing your plans, we’ll list some online marketing tools and services. These are widely recognized services; however, we recommend that you do your own research to find out which ones are a good fit for your budget and required features. Namecheap: As its name indicates, Namecheap is an affordable domain registration service. They also provide affordable hosting services. Bluehost: Bluehost is a popular, shared hosting service. Remember – you always get what you pay for. So, this is a good and affordable hosting solution. However, if you plan to drive tons of traffic to your web pages, go for a high-end hosting service, like SiteGround. GoDaddy: The same goes for GoDaddy. It’s a popular service that can host your website on a shared server with no problems at all. If you expect high traffic peaks, either go for a premium hosting plan or another hosting provider. You can use either Bluehost or GoDaddy to register your domain too. WordPress: WordPress is the most popular open source CMS, and it’s free. The majority of affiliate marketers base their websites, blogs and sales funnels on WordPress. If you don’t know it, it’s time to get familiar with it because it powers 31.0% of all the websites on the Internet. You’ll find it on your hosting dashboard. Most hosting companies provide a script for one-click install. WooCommerce: This is the most popular eCommerce platform for WordPress. First, you install WordPress on your site, and then WooCommerce comes on top of it to add the eCommerce functionality. It’s completely free and you can install it from your WordPress dashboard. OptimizePress: OptimizePress is a fantastic page builder for WordPress. You can use it to build landing pages, sales pages and membership portals. Should you choose to promote their software, they also have a lucrative affiliate program. WooCommerce Amazon Affiliates: This is a must have for Amazon affiliate marketers. It imports all related products from Amazon automatically and adds your affiliate link. Visit the official website to see how it works. 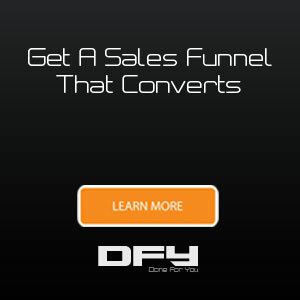 DoneForYou.com: DoneForYou.com is the top resource and service provider for DFY sales funnels that convert. If creating a sales funnel is on your affiliate marketing tactical plan (and that’s strongly recommended), then feel free to schedule a call with us to discuss how we can help. LeadPages: LeadPages is a popular affiliate marketing tool, because it allows you to build landing pages quickly, without code. Of course, when using LeadPages, you won’t be seeking perfection in design or copywriting. For those you’d need to outsource to a designer and a copywriter, respectively, or a turn-key sales funnel agency. ClickFunnels: Similar to LeadPages, ClickFunnels is a widely respected solution for creating complete sales funnels. This is also a good product to promote as an affiliate marketer. ClickFunnels has an attractive compensation scheme and insightful material on how to promote the software and how to implement effective affiliate marketing tactics. 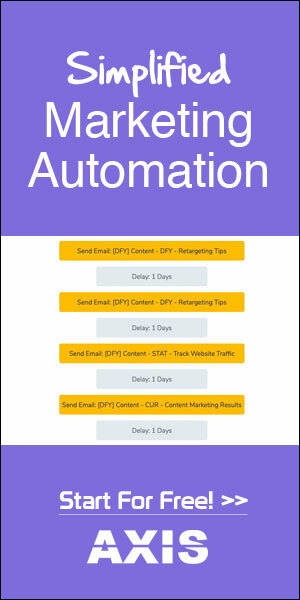 Convertly: Our own email marketing and marketing automation platform. Highly recommended if you require a high level of service and deliverability for your email marketing campaigns. AWeber: Not all email marketing service providers are friendly toward affiliate marketers. If you want to include affiliate marketing links in your campaigns, AWeber is the way to go. Statly: Statly is one of the most advanced, yet simple, web analytics services readily available today. With Statly, you can easily visualize complete paths, from random web visitor to buyer, and uncover bottlenecks that present opportunities for higher conversions. 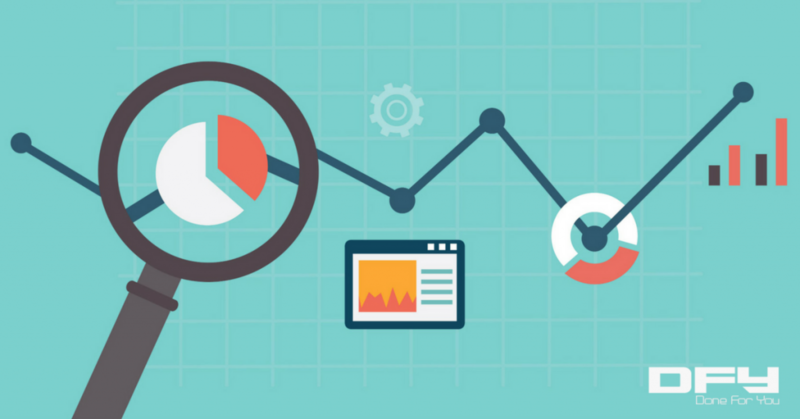 Google Analytics: Unless you’ve been living under a rock, you should know that Google Analytics is the industry standard for analyzing web traffic and visitor behavior on your site. ShareASale: ShareASale is a well-known, affiliate marketing network that features a lot of software companies, including SaaS products. Not only do they have a lot of business offerings, but also you can get access to commission-based partnerships with garden, home and other retail stores online. ClickBank: ClickBank is an affiliate marketplace for all sorts of downloadable goods. You can find ebooks, audio programs and video courses in most popular niches. JVZoo: JVZoo is another famous marketplace for digital goods. They focus on BizOpp offerings, money-making opportunity programs and small-scale, marketing software and WordPress plugins. Standalone affiliate programs: Whatever industry you want to focus on, there must be an affiliate program that you can enroll. From mattresses and blenders to loans and B2B services, you name it! Just google “niche/product + partner program” or “niche/product + affiliate program” and you should be able to find the right one for you. In affiliate marketing, as with everything, it’s important to have a goal. In order to follow the right path, you need to know where you’re headed. The right goal will propel you forward…will be the guide for your next step…will help you believe it is possible to make your dreams come true. So, start by setting the right goals. Where do you want to be in 3 or 5 years? What do you want to achieve through working on your business? Why does this business matter to you? How will your life transform when you build a successful business? And, of course, how do you define success in terms of monetary goals, sales volume, the number of people you will affect positively and the amount of value you are going to offer? Then, put in place a tactical plan to break down your goals into doable affiliate marketing tactics. Break down tactics into small actions that you can take consistently and bring you one step closer to your goal(s). This affiliate marketing plan of goals, tactics and actions will help keep you on track and be accountable for success or blunders. Should you need help devising your affiliate marketing strategy and putting your affiliate marketing plan on paper, contact us! We’ll be more than happy to discuss and plan the best strategy for your affiliate business, and the build all the sales infrastructure that will attract online leads and convert them into customers. We have gained experience in all sorts of industries and products, and are able to draw the big picture of a successful online business and attend to every little detail that will make a huge difference. Interested in learning more? Click this link to schedule a free strategy session. And…we saved the best for last! We have a gift for you. 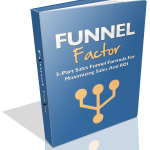 Click here to download our Funnel Factor report, an ebook that will reveal the highest converting sales funnels that you can swipe and plug into your affiliate marketing business to start selling in a jiffy.